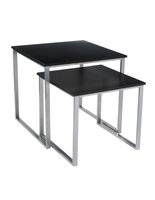 This black nesting table set provides multiple options for displaying your merchandising with style. 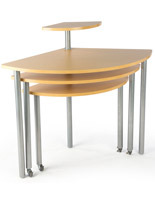 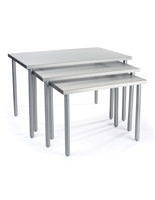 Included with purchase are 2 floor standing fixtures with 3 tabletop risers that neatly layer together. 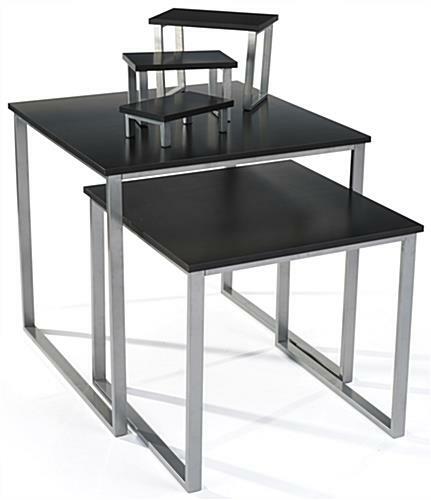 This modern nesting table set nicely matches together with a semi-gloss melamine finish and powder coated steel frames. 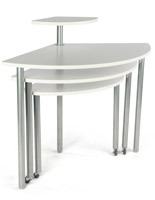 Each tabletop in the collection is built from medium-density fiberboard for a stylish and sturdy display stand. 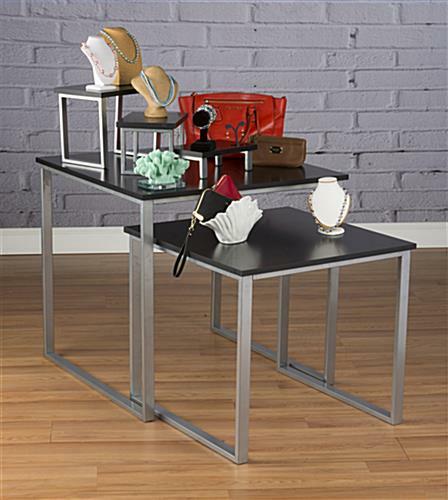 Place apparel on the floor standing models with accessories on the risers to show off a full outfit. 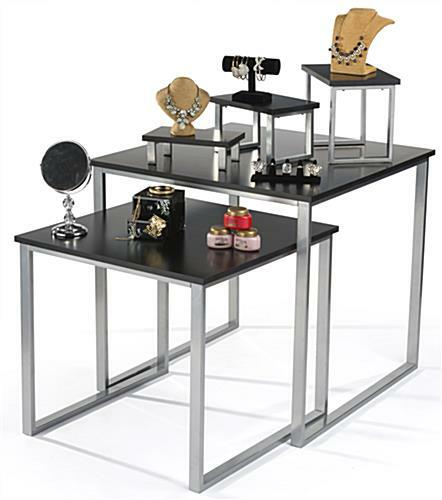 Use them all together for a tiered display stand or place each piece of this modern collection around your retail shop. 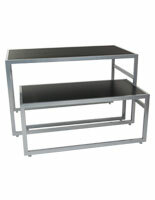 The surfaces are scratch resistant and the base has non-slip padding to keep it in place through all the hectic crowds. 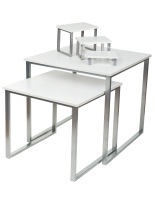 This nesting table set provides endless options for propping merchandise and does so in a contemporary fashion to accentuate the style of your retail store. 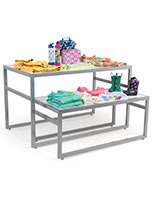 25.3" x 40.5" x 22.0"
11.0" x 3.5" x 7.0"
12.0" x 7.3" x 8.0"
14.0" x 10.5" x 8.0"
27.0" x 24.0" x 27.0"
32.0" x 30.0" x 32.0"